Sirplay will be present at ICE Sports Betting USA to share its vision of the factors of success of this new era. It will be a great moment for benchmarking the status of Sports Betting and Gaming as a whole. A while ago, Sirplay has published an article regarding the abolition of PAPSA – full article here – which is leading the United States of America onto a new age of Gaming. Since then, prospects and leads from all over the world asked Sirplay’s Management again and again the same. What is the main driver supporting a tough decision such as entering the world’s most complex and innovative market? Also, why not also considering America already provides the best experience for Land-Based Casino and Daily Fantasy Sports? In a world of big data, Online Gaming will change it all. The possibility of Gaming on the Internet will create a turmoil. Gaming will be available everywhere. Not only for Casino lovers, but for also for sports fans. 28 November is coming and while waiting, here are some advice Sirplay wants to share in order to exploit success on the American territory. When you deal with the United States of America, market knowledge is fundamental. Researches shows that American consumers have the highest rate of complexity for taste and basket goods. No matter how you do it, you have to do it for good. With the abolition of PAPSA, Federal States are moving towards a law for gambling. In two years 7 States will approve a law on online gambling. In two years the Online Gaming era will begin. Distribution of age is not enough in such an advanced country as the USA. Americans have an even distribution spread for Gross Gaming Revenues in age. A more suited indicator is the Entertainment expenditure ratio. It fluctuates around 5.1% – 5.7% per person of annual revenues. The best way to date to succeed in creating a sectorial development within the market is to create strong local partnerships. This will allow to put the knowledge of the sector operators in an unexplored market. By Outsourcing or selling the source code to entrepreneurs who have the capacity for development. This is how you create effective partnerships is the best way to enter America. Each one of those state has a different law. This means different rules and different revenue split. Also it stands for different costs and different application process for licenses, patents and certifications. It has been a long time since Sirplay studied starting a business in the States. And forecasted multiple times costs and revenues for each region. So, while applying for an operator license it’s important to keep in mind everyone. Players, Stakeholders and which kind of experience will be suited for the each state. Sirplay wants to be part of the gaming culture in America. The company is looking for new partnerships specifically for the American market. 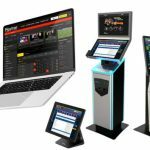 ICE Sports Betting USA will be a showcase for Sirplay. A new software will be show! The platform will adequate to feedback from USA. It will be an excellent tool for this new market. We have our own idea and vision of how USA Betting will be. An idea we can’t wait to share with you at ICE Sports Betting USA.